Contains some important excerpts from the book 'A Vedic Reader For Students'. Topics include the Rig Veda, and gods such as Agni, Savitr and Visnu. A short compendium for those interested in an introduction to this extensive subject. THE Rigveda is undoubtedly the oldest literary monument of the Indo-European languages. But the exact period when the hymns were composed is a matter of conjecture. All that we can say with any approach to certainty is that the oldest of them cannot date from later than the thirteenth century B.C. This assertion is based on the following grounds. Buddhism, which began to spread in India about 500 B.C., presupposes the existence not only of the Vedas, but also of the intervening literature of the Brahmanas and Upanishads. 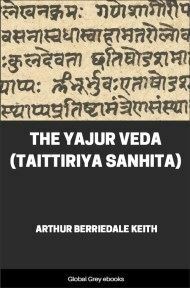 The development of language and religious thought apparent in the extensive literature of the successive phases of these two Vedic periods renders it necessary to postulate the lapse of seven or eight centuries to account for the gradual changes, linguistic, religious, social, and political, that this literature displays. On astronomical grounds, one Sanskrit scholar has (cf. p. 146) concluded that the oldest Vedic hymns date from 3000 B.C., While another puts them as far back as 6000 B.C. 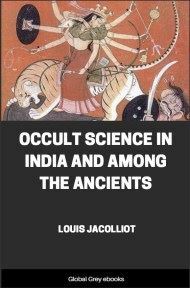 These calculations are based on the assumption that the early Indians possessed an exact astronomical knowledge of the sun's course such as there is no evidence, or even probability, that they actually possessed. On the other hand, the possibility of such extreme antiquity seems to be disproved by the relationship of the hymns of the Rigveda to the oldest part of the Avesta, which can hardly date earlier than from about 800 B.C. 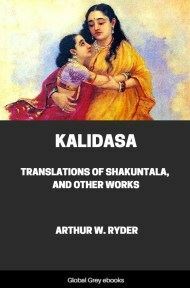 That relationship is so close that the language of the Avesta, if it were known at a stage some five centuries earlier, could scarcely have differed at all from that of the Rigveda. Hence the Indians could not have separated from the Iranians much sooner than 1300 B.C. But, according to Prof. Jacobi, the separation took place before 1500 B.C. In that case we must assume that the Iranian and the Indian languages remained practically unchanged for the truly immense period of over 3000 years. We must thus rest content with the moderate estimate of the thirteenth century B.C. as the approximate date for the beginning of the Rigvedic period. This estimate has not been invalidated by the discovery in 1907 of the names of the Indian deities Mitra, Varuna, Indra, Nasatya, in an inscription of about 1400 B.C. found in Asia Minor. For the phonetic form in which these names there appear may quite well belong to the Indo-Iranian period when the Indians and the Persians were still one people. The date of the inscription leaves two centuries for the separation of the Indians, their migration to India, and the commencement of the Vedic hymn literature in the north-west of Hindustan. When the Indo-Aryans entered India, they brought with them a religion in which the gods were chiefly personified powers of Nature, a few of them, such as Dyaus, going back to the Indo-European, others, such as Mitra, Varuna, Indra, to the Indo-Iranian period. They also brought with them the cult of fire and of Soma, besides a knowledge of the art of composing religious poems in several metres, as a comparison of the Rigveda and the Avesta shows. The purpose of these ancient hymns was to propitiate the gods by praises accompanying the offering of malted butter poured on the fire and of the juice of the Soma plant placed on the sacrificial grass. The hymns which have survived in the Rigveda from the early period of the Indo-Aryan invasion were almost exclusively composed by a hereditary priesthood. They were handed down in different families by memory, not by writing, which could hardly have been introduced into India before about 700 B.C. 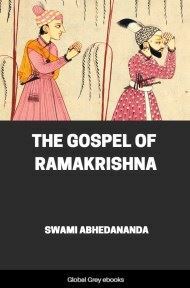 These family groups of hymns were gradually brought together till, with successive additions, they assumed the earliest collected form of the Rigveda. Then followed the constitution of the Samhita text, which appears to have taken place about 600 B.C., at the end of the period of the Brahmanas, but before the Upanishads, which form appendages to those works, came into existence. The creators of the Samhita did not in any way alter the diction of the hymns here collected together, but only applied to the text certain rules of Sandhi which prevailed in their time, and by which, in particular, vowels are either contracted or changed into semi-vowels, and a is often dropped after e and o, in such a way as constantly to obscure the metre. Soon after this work was concluded, extraordinary precautions were taken to preserve from loss or corruption the sacred text thus fixed. The earliest expedient of this kind was the formation of the Pada or 'word' text, in which all the words of the Samhita text are separated and given in their original form as unaffected by the rules of Sandhi, and in which most compounds and some derivatives and inflected forms are analysed. This text, which is virtually the earliest commentary on the Rigveda, was followed by other and more complicated methods of reciting the text, and by various works called Anukramanis or 'Indexes', which enumerate from the beginning to the end of the Rigveda the number of stanzas contained in each hymn, the deities, and the metres of all the stanzas of the Rigveda. Thanks to these various precautions the text of the Rigveda has been handed down for 2,500 years with a fidelity that finds no parallel in any other literature.